Casey may have not known what was in store for her when she met Jonah Black on MyTrueMatch.com, but now that she’s with him, life has become even more unexpected. She’s discovered someone else in the picture and now she cannot figure out how she fits into the puzzle. 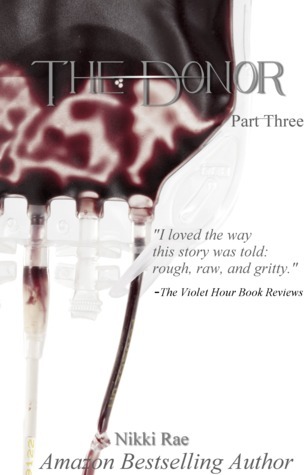 This is the final instalment in Nikki Rae’s The Donor novella and it is an excellent conclusion to a great story. The characters really drive this novella and we see them shine once more with Casey’s relationship with Jonah as well as with her family. Even through three short instalments a clear understanding of who these characters are is established. Rae uses her words well and with care and everything has a purpose. The story follows on from the surprise in part two and it takes the relationship between Casey and Jonah somewhere new and unexpected. There are many surprising revelations but Rae maintains the calm and emotional connection between her characters and uses this to bring more sensitivity and sentiment into the story rather than over the top hype. When we are first introduced to Casey we are unsure of what her intentions with Jonah are, and with each part we have seen their connection grow, as well as understand more of what their relationship involves. With the conclusion of this novella it is clear there is so much more to learn and it seems Casey is not the only one hiding secrets. Rae manages to change what you thought you knew about Jonah and Casey and transforms this little story into something even better than it was before. Rae gets you so involved with Jonah and Casey that when the ending comes you are not expecting it. It isn’t that there is anything grand or outrageous in terms of action, but how Rae portrays these characters, each with their own vulnerabilities and insecurities, is great to read. Each part of this story has been a slow emergence of their thoughts and feelings, a gradual intimacy that doesn’t need over the top excitement or extravagances. The two of them together, still so unsure of one another, but still with a strong connection, brings out the best in The Donor and you realise just who these characters are and what they mean to one another and the purpose they bring to each other’s lives. The ending is ideal. I found a “Wait, what?” escape from my mouth when I realised it didn’t keep going and stops where it does but after I recovered I realised it was the best ending to have, satisfactory but without having to play out everything in detail. Rae’s stories seem to do that, you get so invested into her stories that when the ending comes it is hard to believe they’re over. 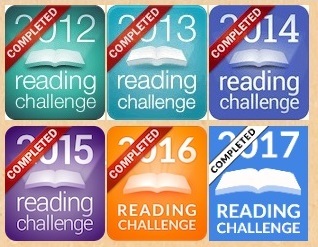 But they are given the best kind of endings for the story and Rae gives you the pleasure of furthering the story in your mind while not leaving you unhappy or without a solution or answers. Once again The Donor follows suit as Rae manages to conclude this novella with style and in a way that gives you answers but also doesn’t need to wrap everything up perfectly. A great conclusion to a wonderful novella.